Nebraska had more than just a Stanley Morgan Jr.-sized hole to fill in the wide receiver room this offseason. They have a number in mind, the coaching staff does, of where they want the receiver room to be at and they’re getting closer. Frost said a new coaching staff is always two years behind when they arrive, and Nebraska, due to poor retention and misses on the recruiting trail under the previous regime, was dangerously short on depth in a lot of areas. Receiver was one of the more glaring ones. But the Huskers are almost caught up, Frost says, if only a half-cycle still behind. Watt is at the JUCO level through this upcoming season, but, according to Hail Varsity’s Greg Smith, is still a take for Nebraska in 2020 as long as academics are in order. 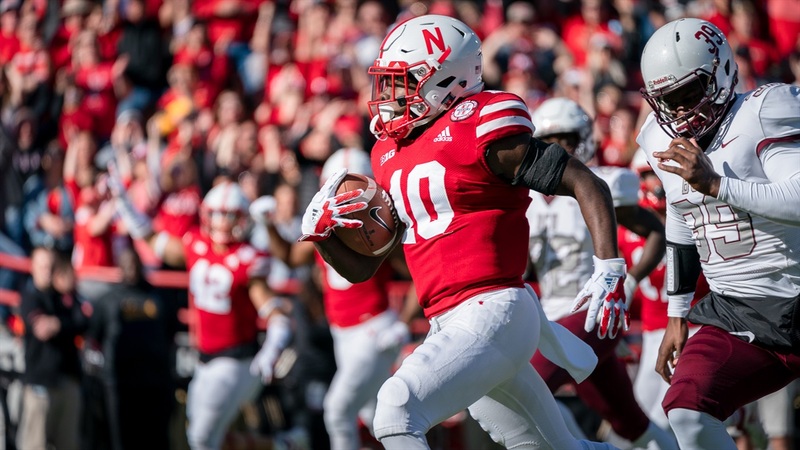 McGriff was moved around and eventually elected to transfer, but the Huskers still had four guys that saw the field at wideout their first seasons in Lincoln. Now, the 2019 class is bringing in three more wide receivers and another hybrid. When Nance and Chase signed during the early signing period, Frost talked about the excitement of pairing them with Robinson in their hybrid Duck-R spot. “He can really run, I mean he can really go,” Frost said of Nance back in December. “I’m anxious to see what he can run a 40-yard dash in when he gets here because his 100 time is really good.” He called Chase a winner and an athlete with “tremendous ball skills.” Both guys were multi-sport athletes in high school, something the Huskers’ staff values a great deal on the recruiting trail. Then there was Houston, the lone signee on National Signing Day. He, along with just about every other skill guy the Huskers signed, returned kicks for his high school and Frost, same as he did with just about every other skill guy the Huskers signed, liked that about Houston. That’s where the holdovers and some of the guys who have been in it for a season already need to step up. The first name Frost mentioned was sophomore Jaevon McQuitty. The 4-star wideout from Columbia, Missouri, signed in the 2017 class but missed his entire freshman season with a knee injury. He appeared in five games in 2018 but made no impact. At 6-foot, 205-pounds, McQuitty is one of the trendy picks to be the Stanley Morgan replacement, but he still has a lot to prove. Which opens the door for the other guys. Frost also name-dropped Hunt and Woodyard. Williams was the third guy to begin last season before falling out of the rotation. A key avenue to playing time at receiver under this staff is embracing the less-fun side of things. Block when you don’t get the ball, commit to special teams, then produce when your number is called. Williams struggled with that early but picked up as the season wore on. Nebraska doesn’t need to, nor will it, replace everything Morgan brought to the table right away. He alone accounted for 43 percent of NU’s receiver targets, 47 percent of receiver yards and 47 percent of receiver touchdowns. No one player will replicate that in 2019, barring some unforeseen jump. But, with junior J.D. Spielman still in the mix, the Huskers won’t be lacking for a go-to target for quarterback Adrian Martinez. That fact, coupled with Maurice Washington’s expected jump as the featured running back, gives the Huskers some time to find those three or four other receivers Frost wants. And for the first time in a while, Nebraska has plenty of options.